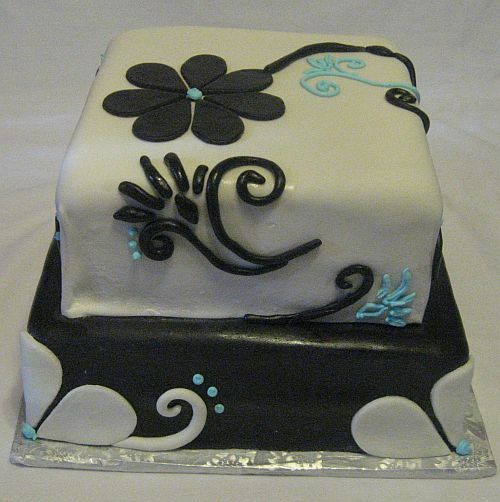 You are currently browsing the tag archive for the ‘Fondant Cakes’ tag. 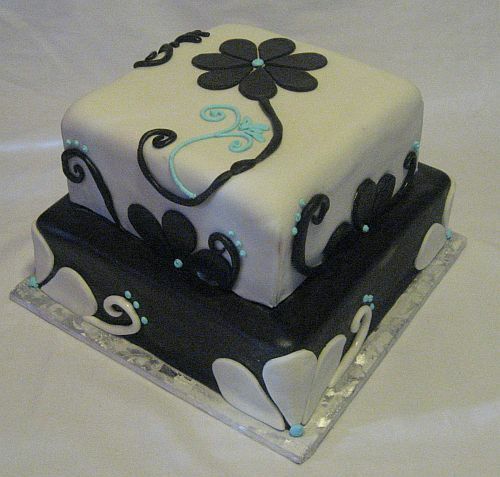 Blue, Black, and White Custom Cake! 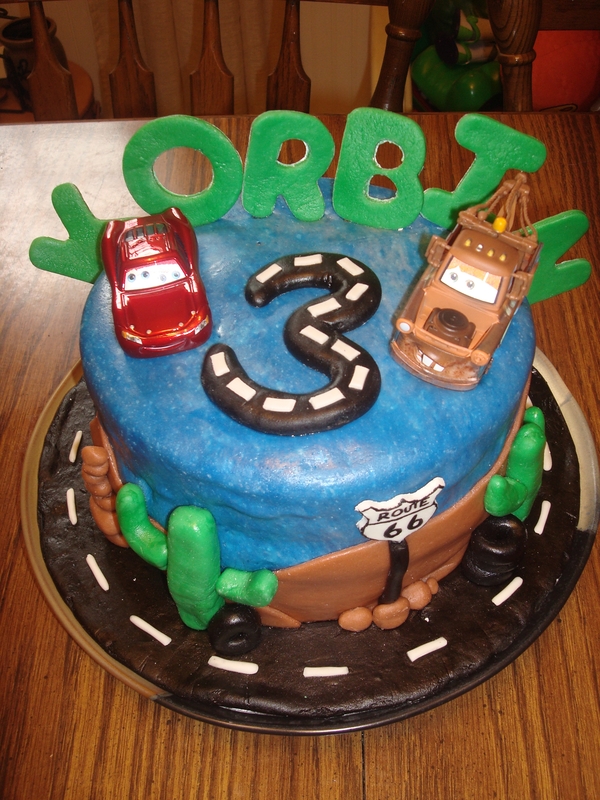 This cake was so fun to make! I love our Speckled Bear Cake which is our buttery yellow cake mixed with semi sweet mini chips and then baked to perfection! The color scheme was absolutely wonderful! I loved adding just a couple hints of blue throughout. When this cake was ordered I was asked to make a cake resembling the napkins and invitations from the Birthday Party. I am hoping that there was one happy 16 year old eating a delicious cake! 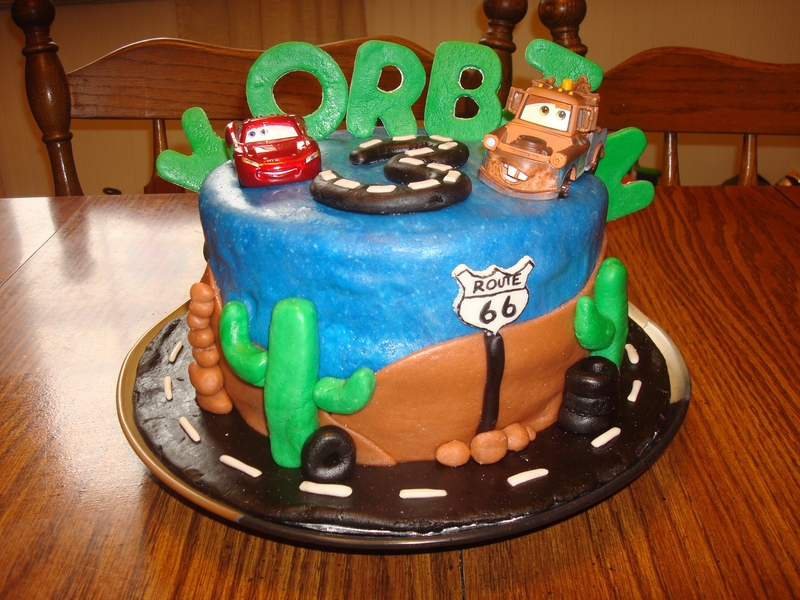 If you are in need of a Custom Birthday Cake contact Bear Heart Baking Company today! 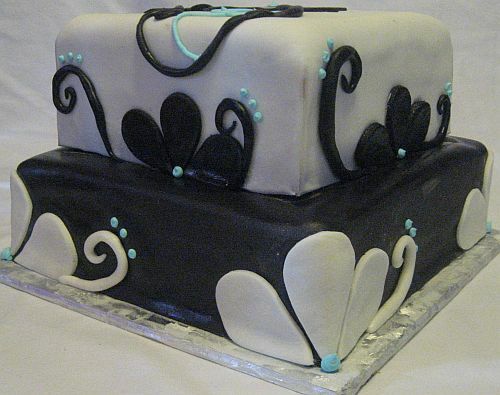 The Black and White on the cake are Marshmallow Fondant! The Light Blue accents are Royal Icing! The design was inspired by a Birthday Invitation and Napkins! Contact Us today to see if we service your area!